The 2011 growing season turned out to be, on average, one of the cooler seasons in recent history. However, with careful vineyard management to ensure low yield from our vineyards, the grapes reached high sugar levels, perfect acidity and low pH.The long hang time (i.e. late harvest date) resulted in optimal phenolic ripening of the grapes, which contributes vital characteristics to the color, texture and flavour of wine. 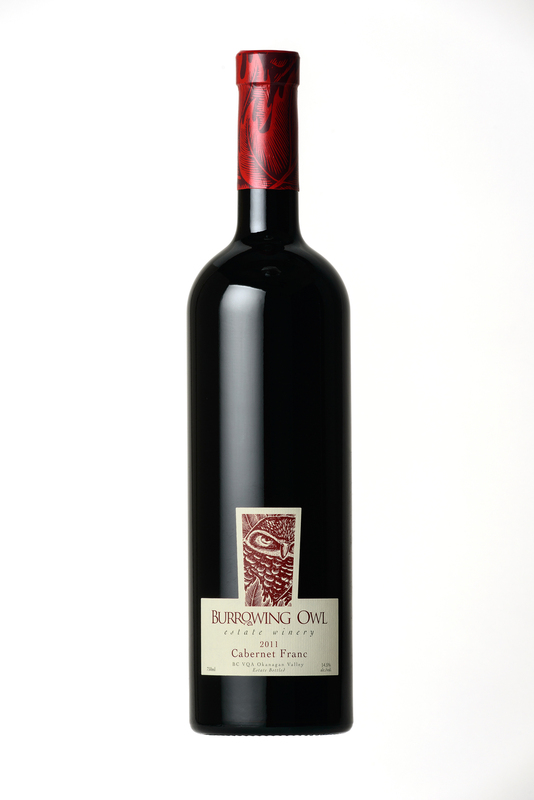 At Burrowing Owl, we are really excited about this vintage and are expecting some unbelievable wines with amazing complexity and depth. 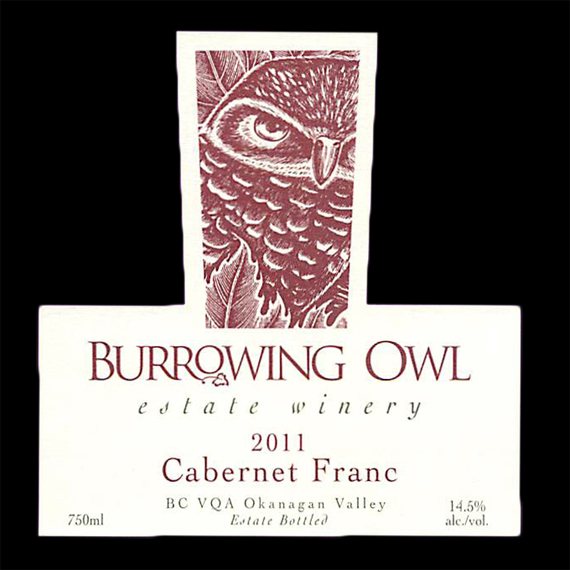 The grapes for the 2011 Cabernet Franc were hand-harvested in October 2011, from Burrowing Owl's Black Sage Road Vineyard in Oliver. The fruit was hand sorted, de-stemmed and slightly crushed into stainless steel tanks for fermentation. The fruit was left at low temperature for about 5 days, warmed and then left to start fermentation on its own. At the end of fermentation, the wine was left on the skins for a period of time. After pressing, it was transferred into barrels where it was left to age with periodic rackings, for 20 months. The Cabernet Franc barrel program consists of ageing in 8o% French oak, 20% American oak: 38% new oak, 31% 1 yea r,14% 2 yea r,17% 3 year.